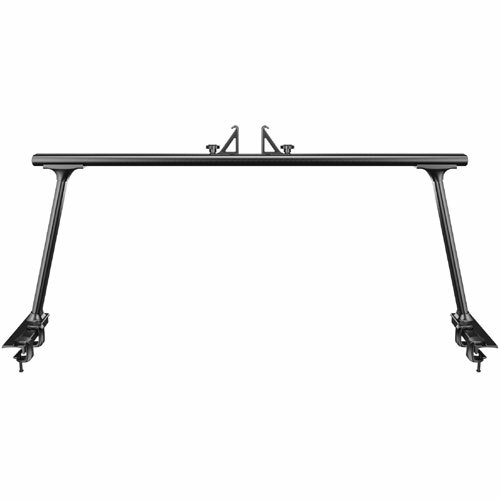 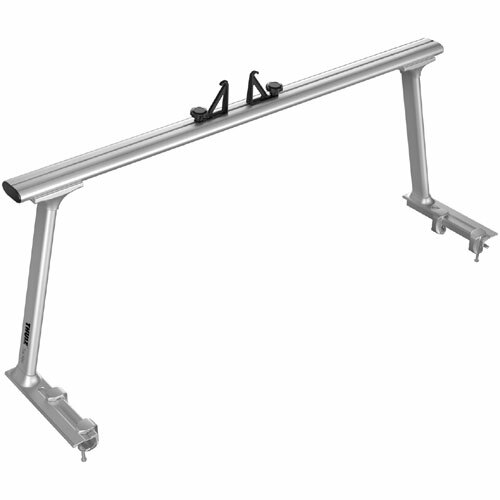 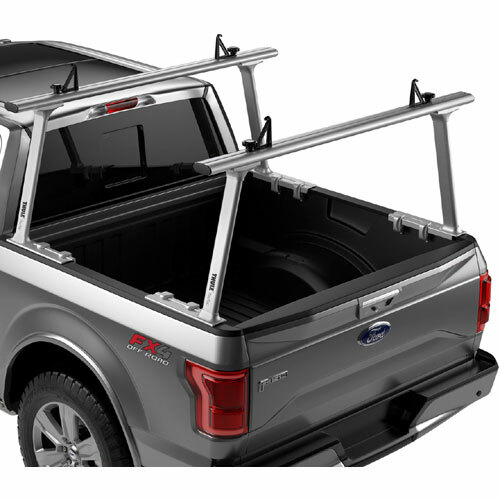 Thule TracRac 27000xt Silver and 27000xtb Black TracOne Pickup Truck Racks are premium quality, aluminum, heavy duty, removable, clamp-on truck racks. 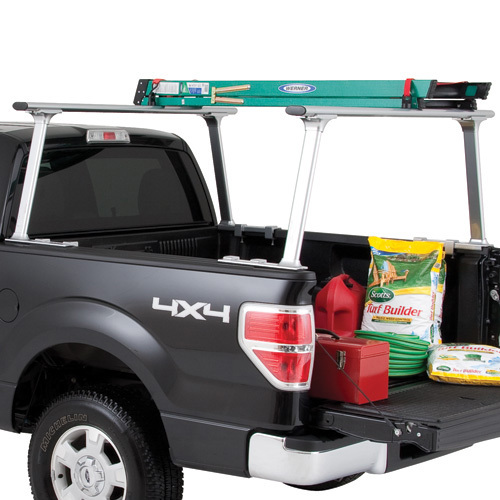 These rust-proof, 100% aluminum truck racks have a load capacity of 800 pounds and fit both full-size and compact pickup trucks. 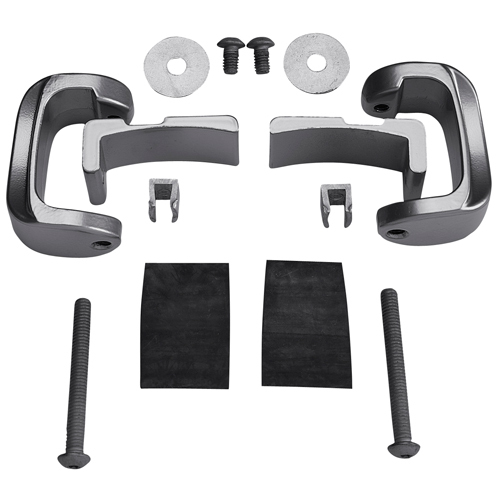 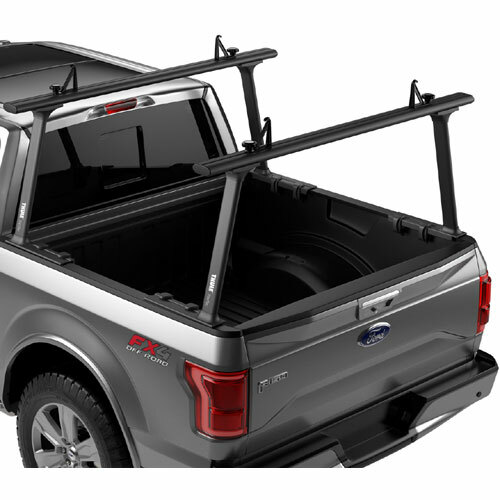 The Thule TracRac TracOne Pickup Truck Racks require access to the underside and top portion of the bed rail in order to install fastening clamps that clamp down the rack system. 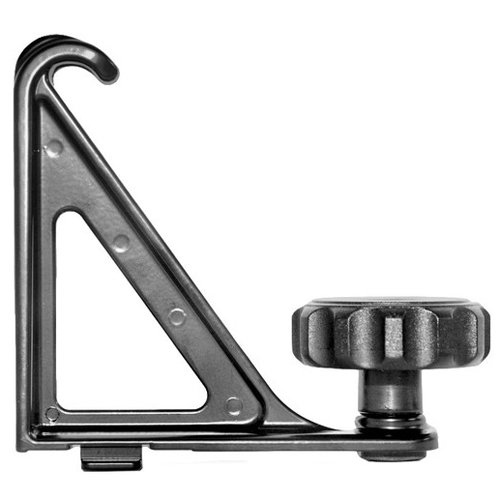 The c-clamp single-axis compression design provides the TracOne with a secure, quick, easy installation for each support post, and eliminates the need for drilling. 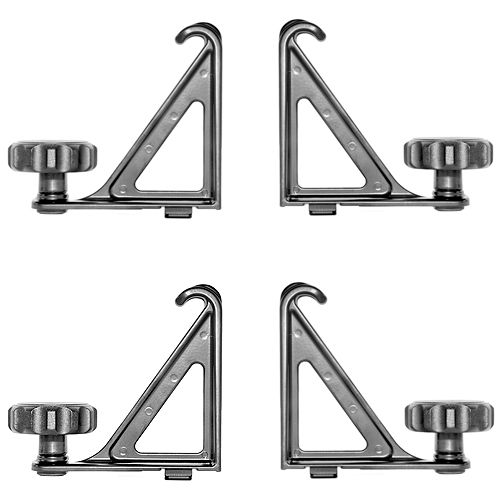 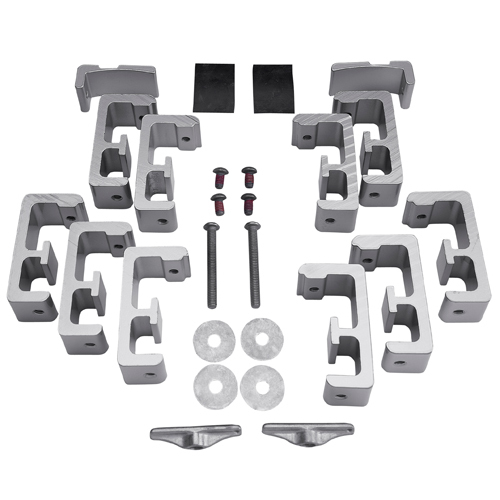 4 aluminum crossbar ends caps and 4 sliding crossbar load stop tie-down brackets are included. 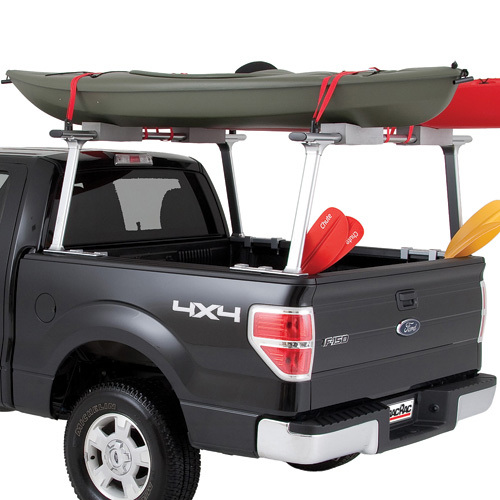 The Thule TracRac TracOne Pickup Truck Rack can be adapted to the 2005 and later Toyota Tacoma by adding the Thule TracRac 34000 TracOne Toyota Tacoma Mount Kit (sold separately - see below). 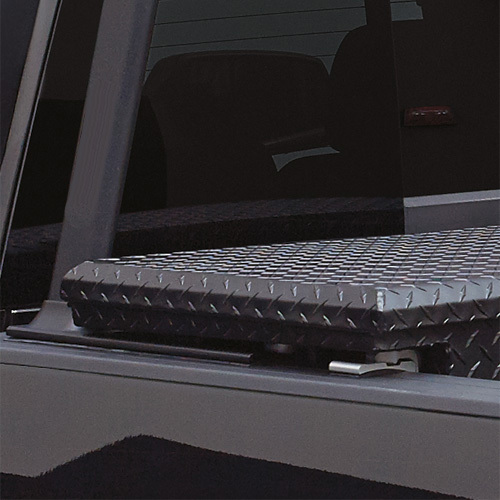 Over the rail bed liners must be removed to install the TracOne. 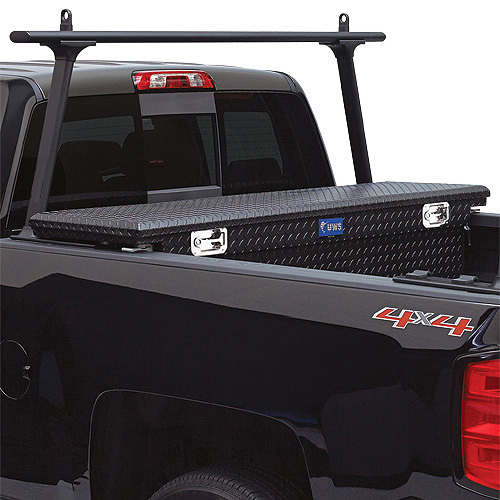 You can check the proper fit for your truck with our easy to use Thule TracRac Fit Guide.